Sundarbans is an amazing forest in the coastal region of the Bay of Bengal which is one of the natural wonders of the world. It’s located in delta areas of the Ganges, Meghna and Brahmaputra rivers, Khulna, Satkhira and Bagerhat districts of Bangladesh and two districts of West Bengal, India, spread across Uttar Chobbish Parganas and Dokkhin Chabbish Parganas. The Sundarbans is the largest amazing forest in the world as the largest mangrove forest in the maritime environment. The Sundarbans, which are spread over 10,000 sq km, are 6017 sq km in Bangladesh and the rest is in India. Sundarbans was selected as UNESCO World Heritage Site in 1997. The Bangladesh and Indian part of it is in fact the adjacent part of the same uninterrupted wide land, but the UNESCO World Heritage List has been listed in two names; In the name of “Sundarbans” and “Sundarban National Park” respectively. The Sundarbans are spread in the net, with small streams of marine streams, mud shores and mangrove forests, small-scale archipelago. 31.1 percent of the total forest zone, which is 1,874 sq km, is riverine, inlet and bills, and is a watery area. Forests, well-known Royal Bengal tiger, besides many species of birds, Chitra deer, crocodiles and snakes are also well known as habitats. According to the survey, about 106 tigers and about 100,000 deer are now in Sunderban area. On 21 May 1992, the Sundarbans were acknowledged as the place of Ramsar. 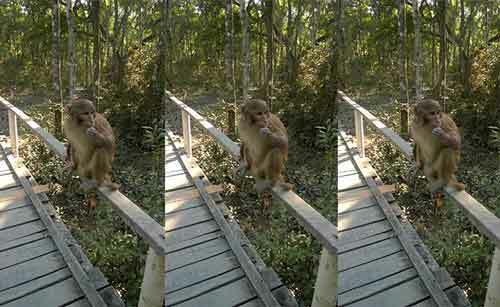 There are thousands of travelers visiting the Sundarbans every year. Many tourists from the country and abroad are fascinated by the amazing beauty of the Sundarbans. By visiting the Sundarbans, they gained knowledge from absolutely wonderful nature. Sixty-Dome Mosque an old mosque situated in the south-west part of Bagerhat district of Bangladesh. There is no inscription on the mosque. So no accurate information is available about who was built or at what time it was built. But there is no diffidence that the architecture of the mosque was built by Khan Jahan Ali. It is supposed that he constructed it in the 15th century. This mosque was made for many years and cost a lot of money. 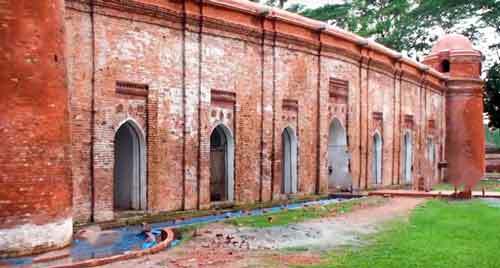 The stones were brought from Rajmahal It is located in one of the three world heritage sites of Bangladesh; the city of Bagerhat has been given the status of World Heritage Site. In 1983, UNESCO gave this honor. Sixty-Dome Mosque is about 160 feet in the north-south way and about 143 feet long in the inside and about 104 feet on the east-west side and about 88 feet wide in the inside. The walls are about 8 feet thick.